When the consumer solution is the only big issue on the table, Design Thinking can deliver in spades. But those cases are increasingly rare. 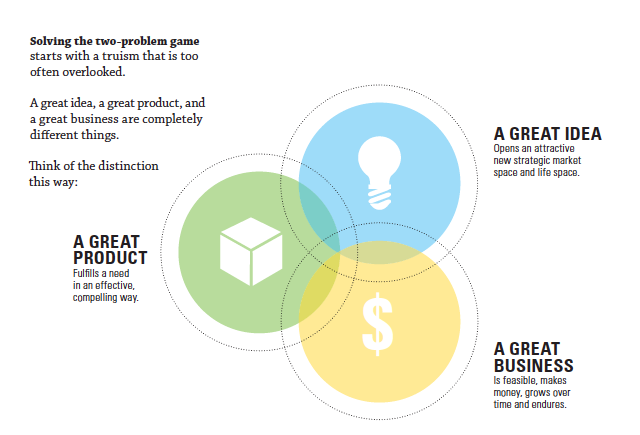 Innovation has become, in nearly every case, a two-problem game: in addition to the consumer challenge, the increasingly complex needs of the business need equal attention in the form of disruptive growth strategies, new business models, and new ways to profitably redeploy existing commercial assets.